On our various social media platform, we have original content being published every day. Here is a roundup of all the posts. Great news, FnC have been nominated for Best Photographer by Cosplay Shout Out. If you think we should win, I would appreciate if you could give us a vote on their page. I’ve even provided you with a link, (you’re welcome). Don’t forget we host here #SubmissionSaturday every week but recently we’ve had no submissions. There are no limitations on what you can send us and how often you send it into us. 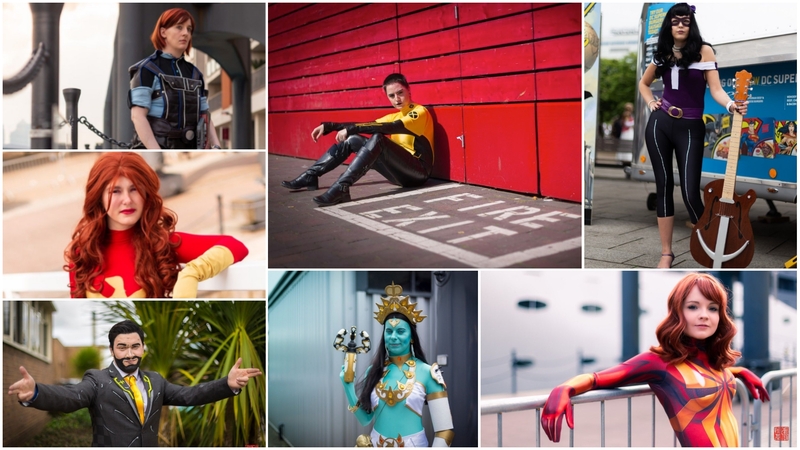 We want to show your cosplay off to the world. So, send in your submission here on Facebook messages with details of your page and photographer. Words: Am I copying or being inspired? #OnlyInCosplay that there isn’t enough time to complete that Cosplay, even though you’ve had months of planning. Creator, founder of FnC and kidnappers of cosplayers at comic cons. Someone who stalks....*cough*...admire all forms of cosplay. And generally sees the fun side of things. Also have a slight obsession with Harley Quinn, only slight.